Biblical Hebrew Vocabulary by Conceptual Categories is a lexical aid for students and teachers of Biblical Hebrew. This book is highly versatile with many uses not only for beginning students but also for intermediate and advanced students as well as for teachers. The CEB Study Bible is a well designed and excellently written study bible that distinguishes itself from the crowd by taking a more open-minded approach to the historicity, date of composition, and authorship of debatable sections of the Bible. However, the appeal of this study bible may be narrowed by its inextricably being tied to the CEB, a translation whose eager pursuit of a laudable goal (to produce a truly fresh translation free from wrongly embedded conservative Evangelical ideas) unfortunately results in uneven quality. The defining characteristic of the Common English Bible translation is its willingness to revisit and re-render traditional translations of well known biblical passages. While this is often a strength, it seems to be driven by a desire among those who commissioned the translation to distance themselves from conservative evangelicalism, and in many places this results in replacing good (albeit traditional) translations with highly questionable ones for no apparent scholarly reason. A Unique Time of God: Karl Barth’s WWI Sermons is a fascinating and highly readable collection of some of Barth’s earliest work that contains his later theology in embryonic form accompanied by a very fine introduction that sets these sermons in their proper historical, biographical, and theological contexts. Amos, Hosea, Micah – An Archaeological Commentary, by Philip J. King, is a commentary about the 8th century BC world of the earliest of the written prophets that takes its data from the field of archaeology. It is difficult to find a similar book that is so accessibly and compactly presented. Biblia.com is a free online Bible study environment. 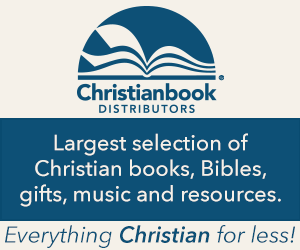 It comes with a good variety of Bible translations and resources, and it can be augmented with digital versions of books purchased from Logos.com and Vyrso.com. The interface is functional if a bit clunky.